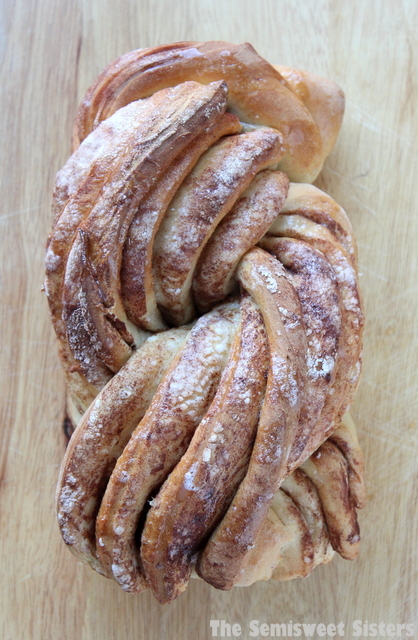 My daughter is obsessed with cinnamon rolls and cinnamon bread, so I made this for her. 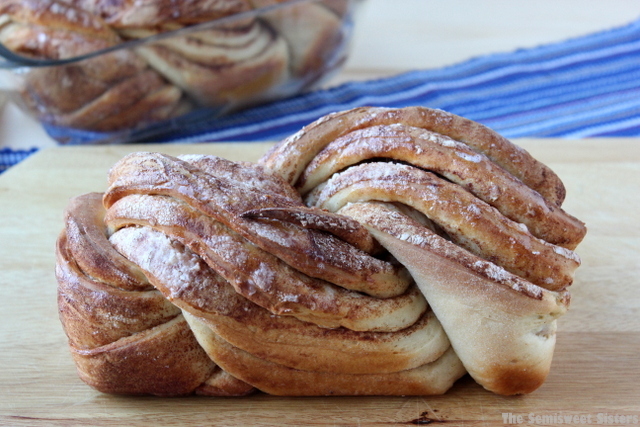 Making bread with a bread machine is so easy. 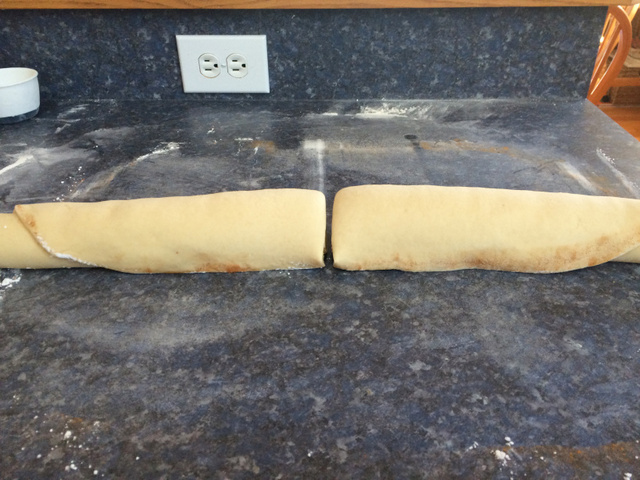 Trust me, I would never make any bread at all if I didn’t have one! 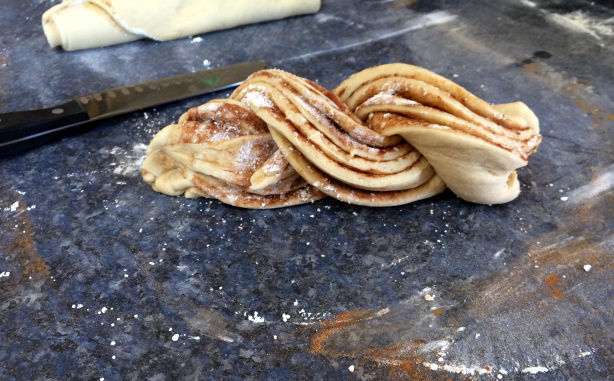 Here is a tip that my brother in law taught me (he is a professional chef/baker) if you don’t want your bread to separate where the swirl part is then use powdered sugar instead of granulated sugar for the filling, like we are doing here. 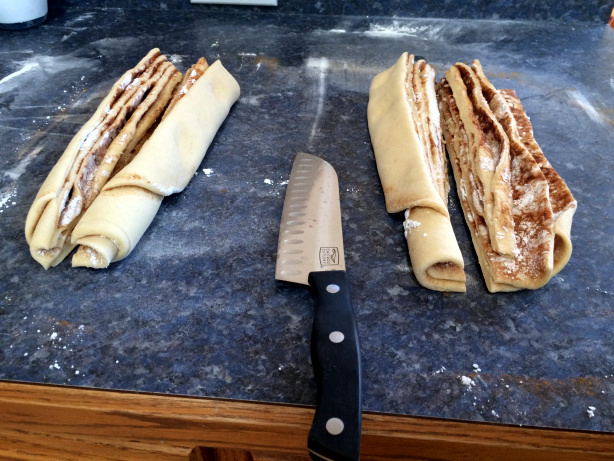 If you try this in another recipe, double the powdered sugar in place of the granulated sugar. Your icing should be pretty watery when you pour it over the top. Heat water and milk together in microwave for 1 min. 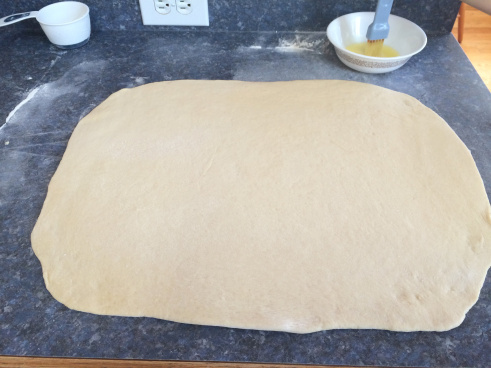 When it's done, roll dough out on floured surface. 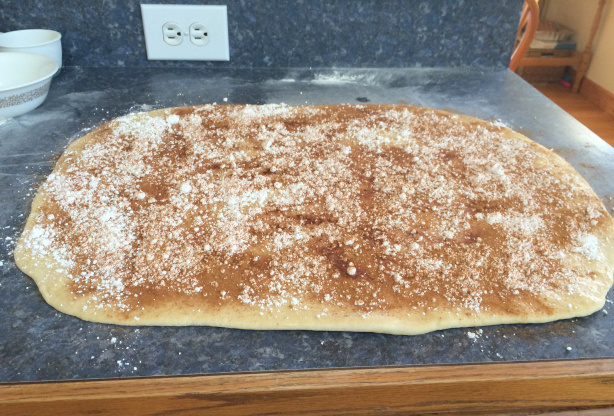 Get it about 1½ x 2 feet then brush with butter, sprinkle powdered sugar and cinnamon and roll it up tight. 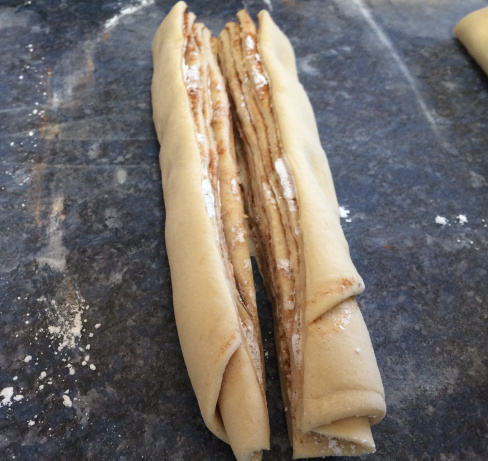 cut in half so you have to rolls (see pic), then slice down the middle of those (see pic) then twist the 2 halves and place in greased pan and repeat for the other one. Let rise for 45-60 mins. 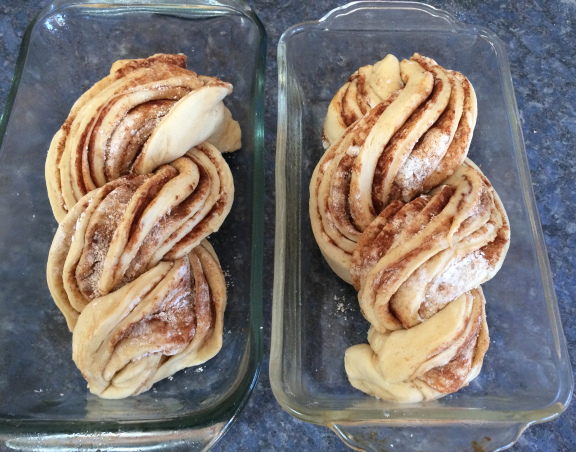 Preheat oven to 350 degrees and bake for 30--35 mins. 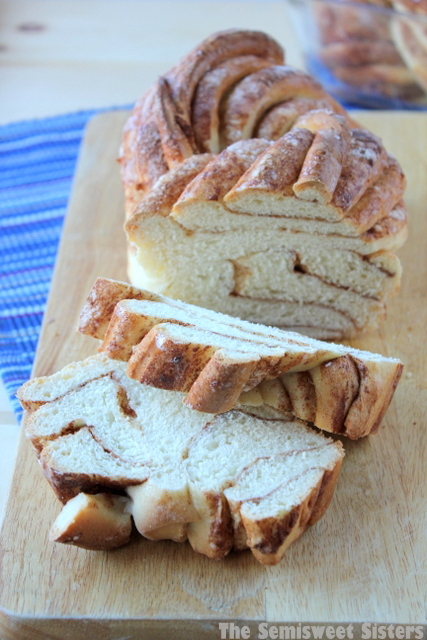 Mix powdered sugar and water and pour over the top of warm bread.